So the `new world order’ is upon us but maybe not quite as many of us might have expected or hoped for. And if the new order of things continues as recently indicated, Ella Hickson’s vision will surely turn out to be bleakly prophetic. 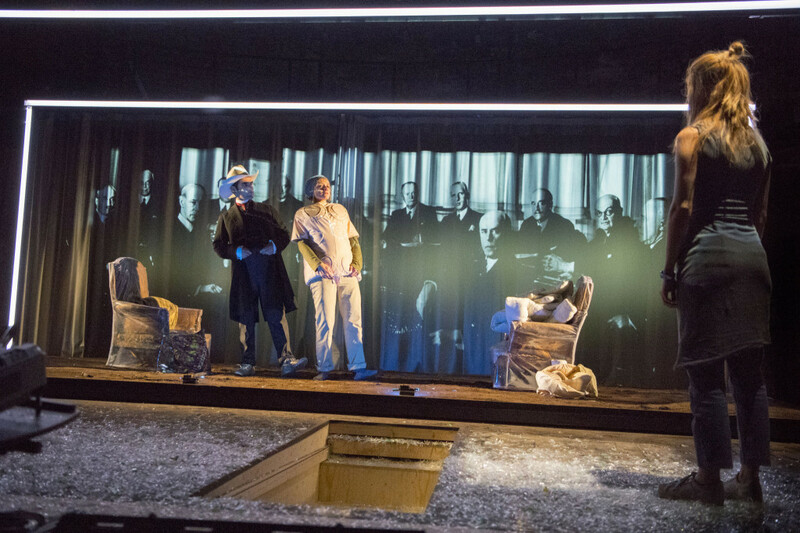 Oil is one of the most remarkable pieces of theatre new writing I’ve seen this year, or maybe even for some years. The sheer scope of Hickson’s imagination is breath-taking, embracing as it does history, empire, greed, finite resources, the environment, war, family, the future, with women – mothers and daughters and career versus family – right at its very centre. In other hands, such ambition might have become seriously unstuck. 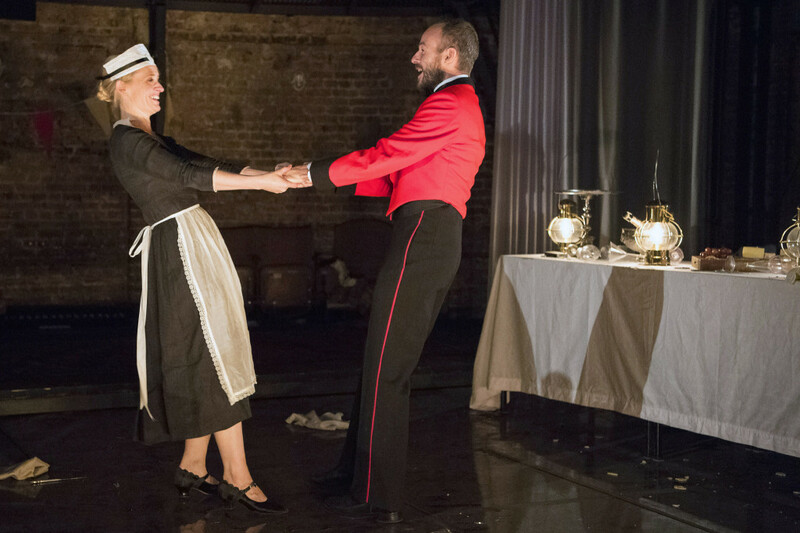 But Hickson’s touch is sure and is matched by the detail and flair of Carrie Cracknell’s production which expands on Hickson’s intentions always with careful integrity matched with scintillating ensemble work. `And the woman walks out into the night and keeps on walking, and keeps on walking…’ The woman is May, defiant, independent-minded. She will recur in each segment as Hickson works through the journey of the fossil fuel through the 20th century up to the present day and beyond, the wars fought for it, the desire for it, the raison d’etres that fall in its wake. But always in different forms, it is also the story of May and Amy’s relationship – May arguing, planning and ultimately determined to protect her daughter from what she sees as `imprisonment’ in marriage and motherhood until the penultimate scene when beginning to age, she conducts a complete volte face. Single and alone is to be feared. But not for Amy. In a remarkable speech, single still represents freedom, to sleep alone and eat a boiled egg for breakfast, if she so chooses. As May, Anne-Marie Duff is stupendous. Oil’s galvanising heart and core, in what should be an award-winning performance, her emotional canvas maps sexually ravenous, fiercely maternal, calculating, corporate steeliness and at the last cackling decline. Of all the vistas which Hickson subjects us to, this final futuristic dystopian vision is perhaps the most disturbing – a world returned to basic living where oil has run out but where a Chinese saleswoman appears, as did the initial American oil lamp salesman, this time offering nuclear fusion and helium 3 mined from the moon as progress. 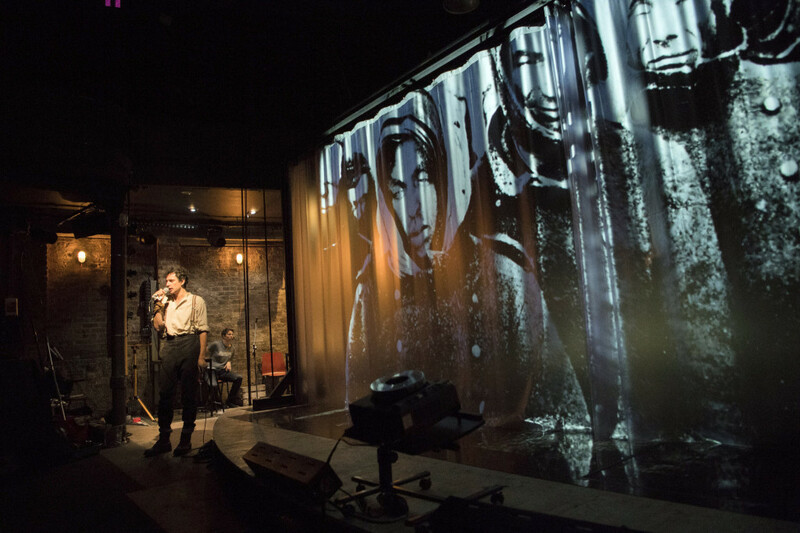 Oil runs at the Almeida Theatre to Nov 26, 2016. 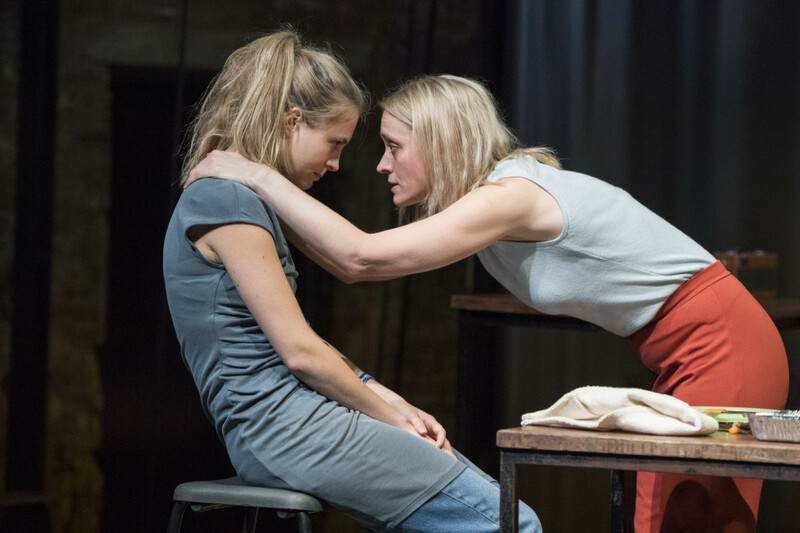 This entry was posted in 2016, Reviews and tagged Almeida Theatre, Anne-Marie Duff, Carrick Cracknell, Ella Hickson, environment, futuristic dystopian vision, mothers and daughters on November 16, 2016 by Carole Woddis.